The Supreme Court recently held in Fifth Third Bancorp v. Dudenhoeffer, 134 S. Ct. 2459 (2014), that employer stock ownership plan (“ESOP”) fiduciaries are not entitled to a special presumption that they acted prudently in investing in employer stock. Rather, ESOP fiduciaries are subject to the same duty of prudence that applies to ERISA fiduciaries in general, except that they need not diversify the plan’s employer stock investment, as would otherwise be required. While Dudenhoeffer invalidated the presumption of prudence that had been applied to ESOP fiduciaries for over a decade, the holding may be advantageous for fiduciaries of plans sponsored by publicly traded companies, in that the Court has set a potentially high bar that plaintiffs must meet in their pleadings to avoid a motion to dismiss. In light of the significant impact of Dudenhoeffer on breach of fiduciary duty litigation against ESOP fiduciaries, it is important to consider the recent cases that have interpreted Dudenhoeffer. The company established an individual account defined contribution plan, featuring company stock as an investment option. Participants suffered losses because the company stock value declined, often as the result of some purported wrongdoing by the company or insiders. 4. Failing to monitor other plan fiduciaries. Under Section 502(a)(2) of ERISA, plan participants may obtain relief from plan fiduciaries for breaches of their fiduciary duties. 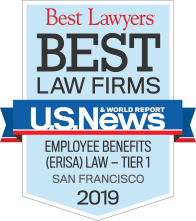 ERISA requires that plan trustees exercise the same degree of care, skill, prudence and diligence under the circumstances then prevailing in making plan investment decisions as they must use in discharging all their duties with respect to an employee benefit plan. With respect to plan investments, the prudence requirement generally requires diversification of investments to minimize risk and loss of profits. Prior to the Supreme Court’s decision in Dudenhoeffer, a majority of the Circuit Courts of Appeals had adopted a presumption of prudence for ESOP fiduciaries, referred to as the Moench Presumption (based on the Third Circuit’s holding in Moench v. Robertson), that fiduciaries of plans requiring or encouraging investment in employer stock are entitled to a presumption that their decision to invest employer securities was prudent. The Moench Presumption protected ESOP fiduciaries and created a significant hurdle for plaintiffs alleging that an ESOP fiduciary breached his fiduciary duty of prudence in a Stock-Drop case, requiring plaintiffs to allege extraordinary circumstances, including that the ESOP’s sponsor was facing dire circumstances or was on the brink of collapse. Fifth Third Bancorp., a large financial services firm, maintained a defined contribution plan for its employees. The plan participants filed a class action lawsuit with the District Court for the Southern District of Ohio, alleging that the Fifth Third plan fiduciaries breached their ERISA fiduciary duties by continuing to offer the employer stock fund as an investment alternative despite a 74% price drop, causing the plan to lose tens of millions of dollars during the class period. The District Court dismissed the complaint for failure to state a claim, finding that the defendant ESOP fiduciaries were entitled to the presumption that their decision to remain invested in employer securities was reasonable under Moench. On appeal, the Sixth Circuit reversed and remanded, agreeing that ESOP fiduciaries are entitled to a presumption of prudence, but it found the presumption to be evidentiary only and inapplicable at the pleading stage, concluding that the complaint stated a claim for breach of fiduciary duty. The U.S. Supreme Court granted certiorari based on the Circuit Courts’ varying approaches to the presumption of prudence applicable to ESOP fiduciaries. On June 25, 2014, the Supreme Court unanimously held that when an ESOP fiduciary’s decision to buy or hold the employer’s stock is challenged in court, the fiduciary is not entitled to a special presumption that the fiduciary acted prudently in managing the plan’s assets. Rather, ESOP fiduciaries are subject to the same duty of prudence that applies to ERISA fiduciaries in general under ERISA § 404(a)(1)(B), except that they need not diversify the employer stock fund’s assets as otherwise required under ERISA § 404(a)(2). The Court further found that the Moench presumption was not an appropriate way to eliminate meritless lawsuits, which the Court stated could be better accomplished through a careful, context-sensitive scrutiny of a complaint’s allegations under the pleading standard discussed in Bell Atlantic Corp. v. Twombly and Ashcroft v. Iqbal. On remand, the Court instructed the Sixth Circuit to reconsider the respondents’ allegations in light of the Twombly and Ashcroft pleading standard, as well as several enumerated considerations applicable to duty-of-prudence claims made in the context of publicly traded stock and the use of non-public information. On June 30, 2014, the Supreme Court ordered the Ninth Circuit to reconsider its ruling in Harris et al. v. Amgen, 717 F.3d 1042 (9th Cir. 2013), allowing fiduciary breach claims to proceed against two Amgen Inc. retirement plans in light of Dudenhoeffer. In Harris I, the Ninth Circuit had held that the presumption of prudence did not apply to the participants’ claim that ERISA plan fiduciaries acted imprudently by continuing to provide Amgen stock as an investment alternative for its defined contribution plans, despite knowing that its price was artificially inflated. The plans neither required nor encouraged fiduciaries to establish a company stock fund as an available investment, nor did they require participants to invest in employer’s stock, but merely referred to a company stock fund as a permissible investment. On remand from the Supreme Court, the Ninth Circuit, in Harris II, held that in light of Dudenhoeffer, the plaintiffs were not required to satisfy the criteria articulated under prior law in order to demonstrate that no presumption of prudence applied. The defendants had argued that their actions were prudent even if the presumption of prudence did not apply and that Dudenhoeffer requires a higher pleading standard of particularity or plausibility. The Ninth Circuit rejected these arguments, holding that plaintiffs had stated a claim that defendants acted imprudently and breached their fiduciary duties under ERISA by continuing to offer Amgen common stock as a plan investment alternative when they knew or should have known that the stock was being sold at an artificially inflated price. The court explained that the Supreme Court had already decided Ashcroft and Twombly when this case was first before the Ninth Circuit on appeal, and the Supreme Court’s citation of those two cases indicates that it was not articulating a new pleading standard in Dudenhoeffer. Participants in Lehman Brothers Holdings Inc.’s 401(k) plan argued in Rinehart v. Akers, 722 F. 3d 137 (2nd Cir. 2013) that plan fiduciaries acted imprudently by failing to divest the plan of company stock. The Second Circuit affirmed the lower court’s dismissal of the participants’ claims, finding they failed to allege sufficient facts to demonstrate that Lehman Brothers’ benefit committee knew or should have known that the company was in a “dire situation” based on publicly available information, and therefore could not overcome the Moench presumption. The court further held that material, nonpublic information could not form the basis of the participants’ imprudent investment claims. On July 1, 2014, the Supreme Court ordered the Second Circuit to reconsider its ruling in Rinehart, in light of Dudenhoeffer. On July 1, 2014, the Supreme Court ordered the Fifth Circuit to reconsider its ruling dismissing a fiduciary breach claim against the fiduciaries of an ESOP in light of Dudenhoeffer. On August 7, 2014, the Fifth Circuit vacated the judgment of the district court and remanded the case. In re UBS ERISA Litig. This employee class action was brought against UBS, alleging violations of fiduciary duties under ERISA. UBS offered its employees several retirement benefit plans, including the UBS Savings and Investment Plan (the “SIP”), which offered the UBS Company Stock Fund as an investment option to UBS employees. The plaintiff alleged that the defendants breached their duties to the SIP by failing to eliminate the UBS Company Stock Fund from the menu of investments at a time of financial crisis. On March 24, 2011, the district court granted defendants’ motion to dismiss. On appeal, the Second Circuit vacated the district court’s dismissal of plaintiff’s claims related to the SIP and remanded the case, holding that claims against the SIP were improperly dismissed because the lower court applied a presumption of prudence to the SIP-related claims. The Second Circuit explained that because the SIP Plan Document did not require or even “strongly encourage” investment in the UBS Stock Fund, but just presented it as one permissible investment option, fiduciaries of the SIP were not entitled to the presumption of prudence. 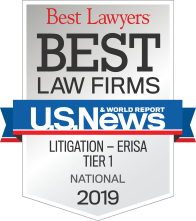 “Plaintiff’s assertion that the Supreme Court’s decision in Dudenhoeffer has changed the landscape for claims arising under ERISA overshoots the mark. In this case, the Second Circuit already determined that the presumption of prudence does not apply to the SIP. As a result, the Supreme Court’s rejection of the presumption of prudence in general has little impact on this case in its present posture.” In re UBS ERISA Litig., No. 08-cv-6696 (RJS), 2014 WL 4812387 (S.D.N.Y. Sep. 29, 2014). In Gedek v. Perez, No. 12-CV-6051L, 2014 WL 7174249 (W.D.N.Y. Dec. 17, 2014), participants and beneficiaries of the Savings and Investment Plan (“SIP”) of Eastman Kodak Company (“Kodak”) and the Eastman Kodak Stock Ownership Plan (“ESOP”) (collectively “the Plans”) brought an action against the administrators and fiduciaries of the Plans. The plaintiffs alleged that the defendants violated ERISA by failing to prudently manage the Plans’ assets, principally by continuing to invest plan assets in Kodak stock even after it allegedly became obvious that Kodak was headed for bankruptcy and that its stock was going to plummet in value. The court quoted Dudenhoeffer’s holding that because “[t]he Court of Appeals did not point to any special circumstance rendering reliance on the market price imprudent, [t]he court’s decision to deny dismissal … appears to have been based on an erroneous understanding of the prudence of relying on market prices” as a measure of a stock’s “true” value. The court explained that Dudenhoeffer did not address the situation presented by the plaintiffs’ factual allegations in the instant case; that is, allegations that a company’s downward path was so obvious and unstoppable that, regardless of whether the market was “correctly” valuing the stock, the fiduciaries should have halted or disallowed further investment in company stock. The court explained that the plaintiffs’ key argument was not that the price of Kodak stock was inflated, as it rather accurately tracked the company’s steadily worsening fortunes, which had no reasonable chance of improving. Therefore, the issue was not whether defendants paid an artificially inflated price for Kodak stock, but whether they should have realized that Kodak stock represented such a poor long-term investment that they should have ceased to purchase, hold, or offer Kodak stock to plan participants. The court explained that Dudenhoeffer provided little explicit guidance on this question. What the court found was clear from Dudenhoeffer was that (1) there is no presumption that a fiduciary acted prudently, regardless of the type of fund at issue; and (2) as stated in ERISA, an ESOP fiduciary is exempt from § 1104(a)(1)(B)’s duty of prudence, but only to the extent that the statute requires diversification. Thus, the court concluded, in all other respects, an ESOP fiduciary’s duty of prudence is no different or less stringent than that of any other ERISA fiduciary. After considering the allegations, the court held that, particularly without the Moench presumption of prudence, the plaintiffs stated a facially valid claim against the Kodak defendants with regard to the ESOP. The court explained, “Accepting the truth of plaintiffs’ allegations, a reasonable factfinder could conclude that at some point during the class period, the ESOP fiduciary should have stepped in and, rather than blindly following the plan directive to invest primarily in Kodak stock, shifted the plan’s assets into more stable investments, as permitted by the plan document, and as consistent with the plan’s and ERISA’s purposes.” The court stressed that in the aftermath of Dudenhoeffer, plaintiffs need no longer plead facts to overcome the Moench presumption. Thus, the court concluded that, assuming the truth of plaintiffs’ allegations, they stated a plausible claim that defendants violated their duty to act prudently. On August 4, 2014, the Fourth Circuit found that a district court failed to use the appropriate standard in determining if a 401(k) plan’s investment decision was “objectively prudent” and thus in accordance with ERISA. The district court had held that the RJR Pension Investment Committee breached its duty of procedural prudence in 2000 by divesting the R.J. Reynolds (“RJR”) 401(k) plan of stock in Nabisco, a subsidiary of RJR’s parent, RJR Nabisco Holdings Inc. Participants alleged that the defendants breached their fiduciary duties under ERISA by forcing participants to sell their Nabisco stock when such shares were selling at an all-time low. The district court ruled in favor of RJR and found that, despite the breach of procedural prudence, a hypothetical prudent fiduciary “could have” divested the plan of the Nabisco stock if it had carried out a sufficient investigation, thus the breach did not cause any of the plaintiff’s alleged losses. The Fourth Circuit quoted Dudenhoeffer’s finding that, “Because the content of the duty of prudence turns on ‘the circumstances … prevailing’ at the time the fiduciary acts, § 1104(a)(1)(B), the appropriate inquiry will necessarily be context specific.” Relying in part on Dudenhoeffer, the Fourth Circuit explained that the district court had applied the wrong standard, holding that the proper standard was to determine if the hypothetical prudent fiduciary “would have” divested the plan of the stock after a proper investigation. Following Dudenhoeffer, claims asserting a breach of fiduciary duty in employer Stock-Drop cases will no longer be dismissed at the early stages of litigation based on a presumption of prudence. However, a claim will likely be dismissed if plaintiffs do not meet the high pleading burden that has been set by the Supreme Court in Dudenhoeffer. Plaintiffs must plead specific facts, including “an alternative action that the fiduciary could have taken that would have been consistent with the securities laws and that a prudent fiduciary in the same circumstances would not have viewed such alternative action as more likely to harm the fund than to help it.” Thus, the Supreme Court’s holding in Dudenhoeffer is not necessarily a blow to ESOP fiduciaries. With an understanding of the cases that follow Dudenhoeffer, along with the Sixth Circuit’s decision in Dudenhoeffer when it is decided on remand, ESOP fiduciaries will likely be better able to defend themselves against participants’ Stock-Drop lawsuits.